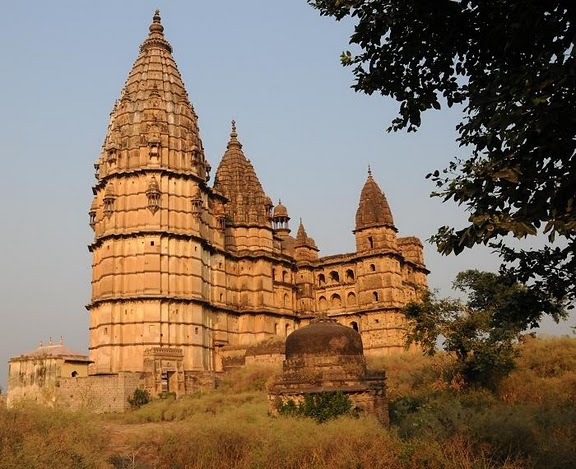 Orchha located at a distance of 16 km from Jhansi in the state of Madhya Pradesh, Orchha rises out of the hills and the greens surrounding it. The historical monuments of Orchha still retain their pristine charm and narrate stories of war and peace, of love and destruction. 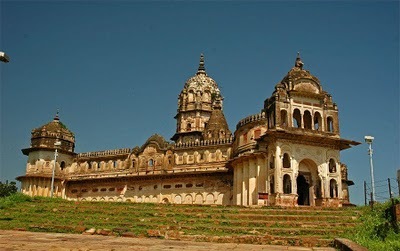 Orchha was once the capital of the formidable Bundela kings who ruled over a large tract between the Ganga and Narmada in medieval times. According to legends, King Rudra Pratap chose this place situated on the loop of the river Betwa to make his capital in AD 1501. The historical monuments of Orchha still retain their pristine charm and narrate stories of war and peace, of love and destruction. It is also a place famous for Bundela paintings, of which it was once a centre of activity. 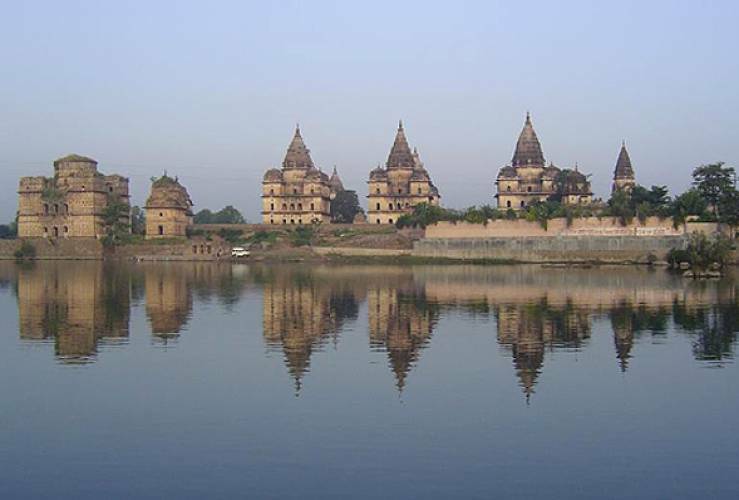 Nevertheless, Orchha is not all about history and legends; it is also about the natural splendour of a wonderful valley where the crystal-clear waters of the Betwa flow quietly along the banks for which solitude is a way of life. Raj Mahal : One of the oldest historical monuments in the fort complex, the Raj Mahal or King’s Palace is famous for its chhatris (cenotaphs) and exquisite murals on the interiors. The palace has a number of rooms that dealt with exclusive functions. There is the private room for the king, a room for the guests who used to receive special favours from the King, and many rooms for his harem. 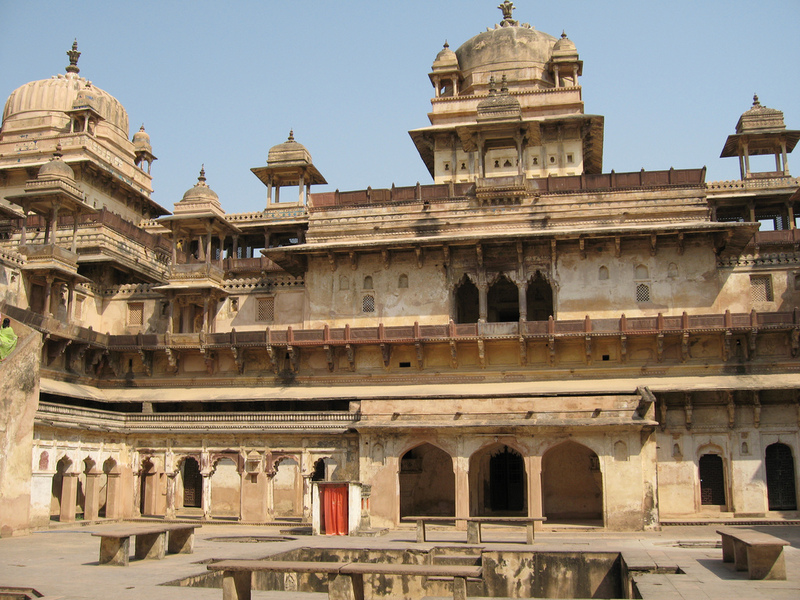 Jahangir Mahal : Considered as the best piece of architecture in Orchha, the Jahangir Mahal is the reminder of friendship that prevailed between the Mughals and Bundelas for a long time. 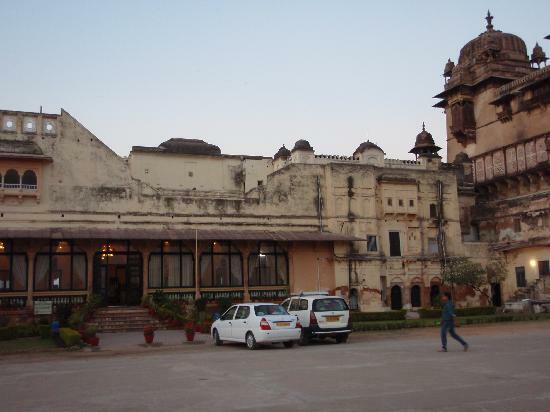 The palace is situated a few steps away from the Rai Praveen Mahal, another important palace of Orchha. The main gate of the palace has two bowed elephants on each side accentuating the Islamic architectural style that is the hallmark of this palace. 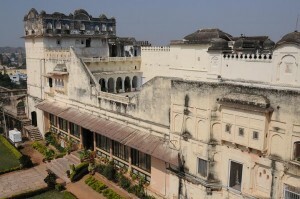 The palace also gives breathtaking views of surrounding areas from its numerous multi-storeyed balconies. Rai Praveen Mahal : It is a small, two-storeyed palace mostly in ruins now. Legends say that king Indramani built this palace after his favourite concubine and used to come here after a hectic day\’s work. There was a time when the palace buzzed with beauty and grace of its inhabitants as well as the charm of its gardens. Rai Parveen was a gifted poetess and dancer and it should not have been tough for the king to fall for her charms. The height of the palace has been designed to match the height of the trees in the surrounding gardens. The Ram Raja Temple is perhaps the most important-though unusual-of all the temples in Orchha. This is the only temple in the country where Rama is worshipped as a king-that too in a palace. According to legends, once Lord Rama appeared in a dream to king Madhukar Shah and directed him to build a temple for him. The king followed the instructions given by Rama and brought his idol from Ayodhya, the birthplace of the lord. However, the construction of the temple was not complete when the idol arrived from Ayodhya. So it was kept in the palace for the time being. Later, the king remembered that in the dream Lord Rama had specifically mentioned that his idol could not be removed from the place where it has been originally kept. This led the king to abandon the construction of the temple and instead the palace where the idol was kept was converted into a temple. Chaturbhuj Temple – It was built upon a massive stone platform and reached by a steep flight of steps, the temple was specially constructed to enshrine the image of Rama that remained in the Ram Raja Temple. Lotus emblems and other symbols of religious significance provide the delicate exterior ornamentation. Within, the sanctum is chastely plain with high, vaulted walls emphasizing its deep sanctity. 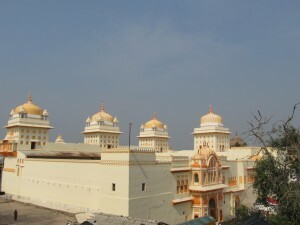 The Lakshmi Narayan temple is at a higher altitude suited more for a fort. The architecture of the temple gives a feeling of ethnic India’s royal taste. The temple also has some very beautiful and rare paintings. The post-mutiny paintings of this temple are very famous. 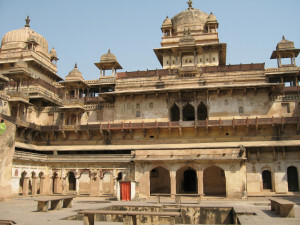 The Sheesh Mahal: Built during the early 18th century, long after Orchha’s demise, the Sheesh Mahal (“Palace of Mirrors”) was originally intended as an exclusive country retreat for the local Raja, Udait Singh. Following India’s independence the property was inherited by the state government. 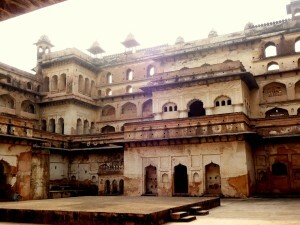 The low, rather squat palace stands between the Raj Mahal and the Jehangir Mahal, at the far end of an open-sided courtyard. Affordable budget rooms are available within Rs 1000 and provide reasonably comfortable accommodation. Deluxe rooms are also comparatively cheaper compared to other Indian towns. They cost less than Rs 1,500 and offer excellent hospitality services. These hotels are in close proximity to the palaces and forts, which make them easily accessible. Luxury hotels and heritage hawelis are available in Orrcha for prices ranging from Rs 3,000 to Rs 5,000 for a night. Some of these luxury hotels are located atop forts and inside palaces and offer rooms with an aesthetic view of the river. These hotels offer royal treatment to their guests in addition to other basic facilities like air-conditioning, mini-bar, coffee shop and unlimited internet access. Air conditioning is necessary during the summer months and available. By Air: The nearest airport is Gwalior (119 km), which is connected to Delhi, Bhopal, Indore and Bombay. Khajuraho, which is 170 km from Orchha, is connected to Delhi, Agra and Varanasi. 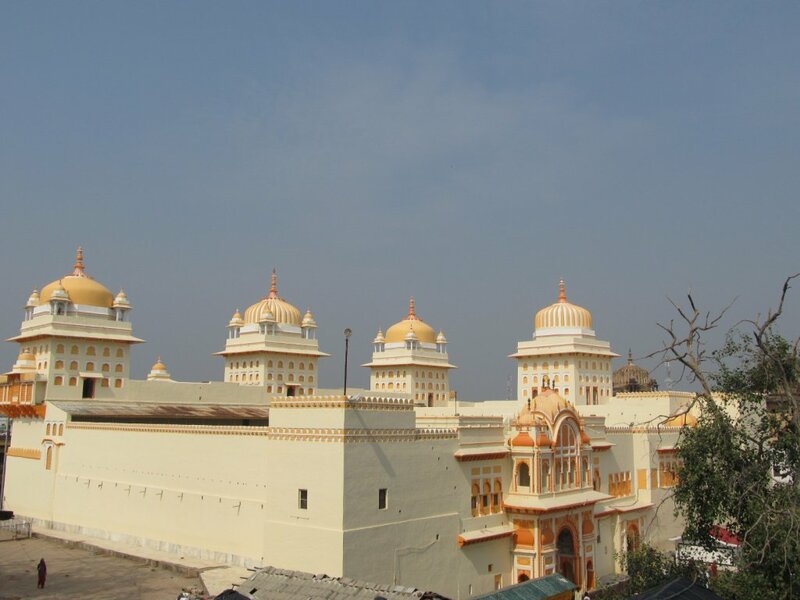 By Rail: The nearest railway station to Orchha is Jhansi which is 16 km from Orchha. It is on the Bombay-Delhi and Delhi-Madras main lines. All major mail and express trains stop at Jhansi. By Road: Orchha is on the Jhansi-Khajuraho road. 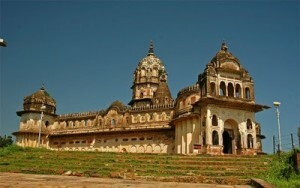 There are regular buses and tempos from the Jhansi bus stand for the 18 km journey to Orchha.